Growing up in Mexico, Dia de los Muertos (“The Day of the Dead”) was a neighborhood affair for Lillian Casillas-Origel. So in 2014, as the neighborhood in which the La Casa Latino Cultural Center is located added a new neighbor, the First Nations Educational and Cultural Center, and another neighbor, the GLBT Student Support Services Office, was welcomed into the Office of the Vice President for Equity, Diversity, and Multicultural Affairs (OVPDEMA) family, Casillas-Origel, La Casa’s director, decided to incorporate the neighborhood into the celebration. 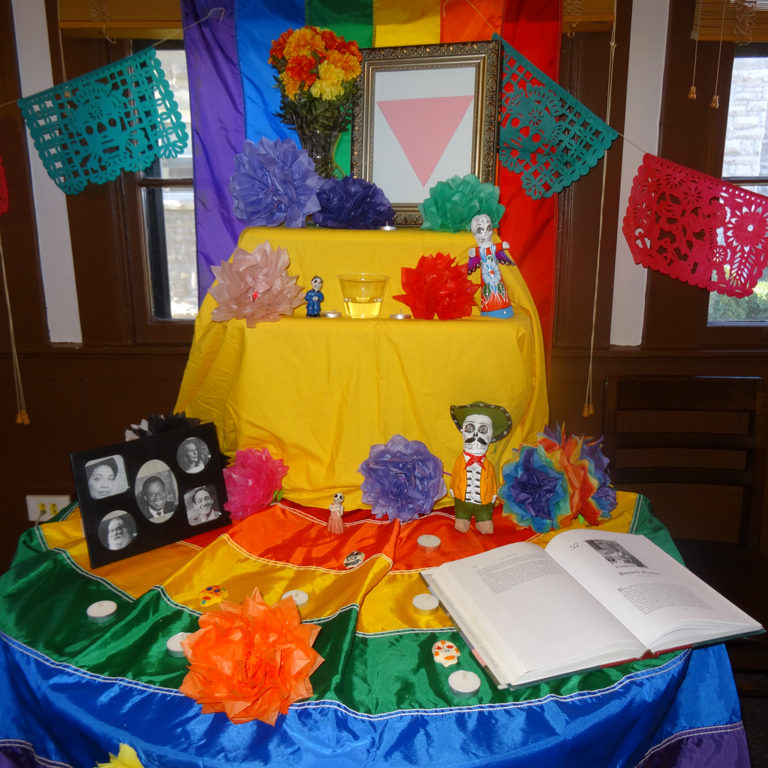 Casillas-Origel reached out to Doug Bauder, the director of the GLBT Student Support Services Office, about setting up an altar and incorporating his center into the celebration. 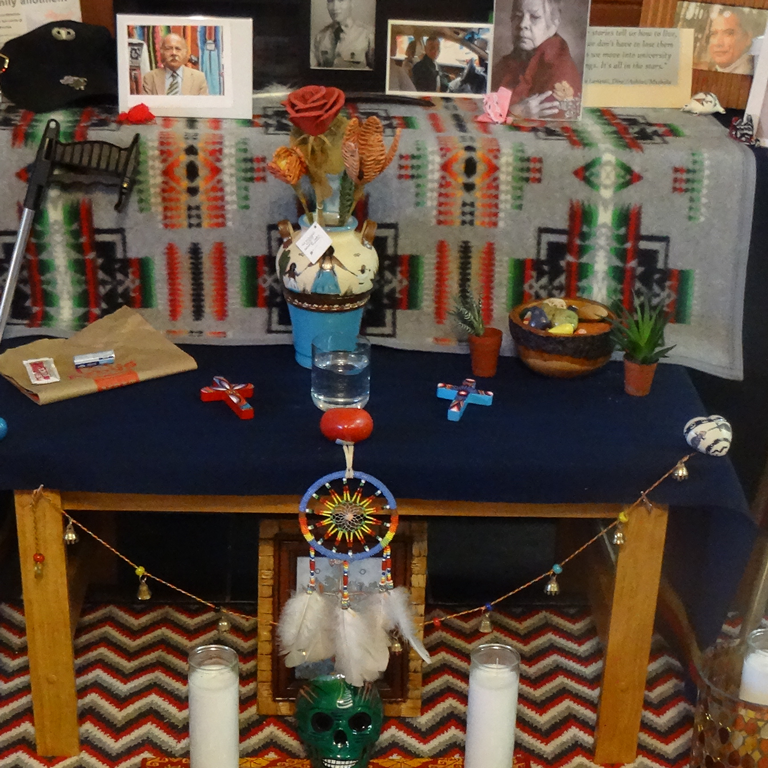 Additionally, the First Nations Educational and Cultural Center had recently moved into its new location, making the event a way to make the IU community more familiar with the move, as well as connect all three nearby OVPDEMA programs. La Casa’s next-door neighbors, Canterbury House, IU’s Episcopal Campus Ministries, were also invited to participate. Even before the GLBT Office fell under the umbrella of OVPDEMA, Doug and I had a relationship and did programs together. But because of the intersectionality of people in both the Latino community and the LGBTQ+ community, the OVPDEMA connection has further solidified the relationship between our programs. The La Casa Latino Cultural Center, the GLBT Student Support Services Office, and the First Nations Educational and Cultural Center are all OVPDEMA programs, and while all IU students are welcome to participate in their events, obviously each center targets different audiences. 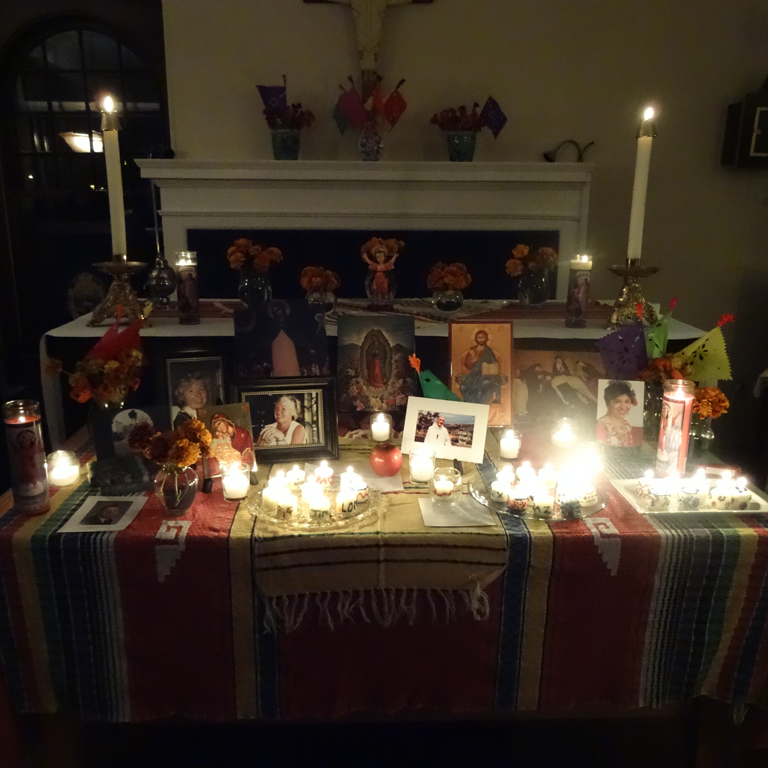 The collaborative Day of the Dead celebration, led by La Casa, encourages inclusion. “We wanted to include as many people as possible, but we really wanted to show that we had something in common. There’s a link. We might be different cultural centers and our focuses might be slightly different, but at the root of who we are, we’re the same. We’re all here to support and learn from each other. We’re a community,” said Casillas-Origel. At this year’s Dia de los Muertos, held on Wednesday, November 2, participants can look forward to learning more about the history and background of the event from Dr. Mintzi Martinez-Rivera, Ph.D., a visiting assistant professor of Latino Studies at IU, then partaking in food and drinks—including tamales, rice and beans, horchata, jamaica, and Day of the Dead bread—and view altars that honor loved ones and creating individual crafts. They’ll also leave with hopefully a bit more understanding about what links the entire IU community. La Casa will honor the mother of a student, IU sophomore Angelica Navarro, at this year’s celebration. Navarro, who also works part-time at La Casa, lost her mother July 25, before the start of the fall semester. “By honoring my mother, it made me feel like La Casa really cared about me. They’ve all been really supportive and understanding of everything I’ve faced this semester. When they asked me, they wondered if I felt it would be insensitive. But I was actually really glad that they thought about me and what I was going through,” said Navarro, a social work major who hails from Merrillville, Ind.